MAY 25: Show And Prove! 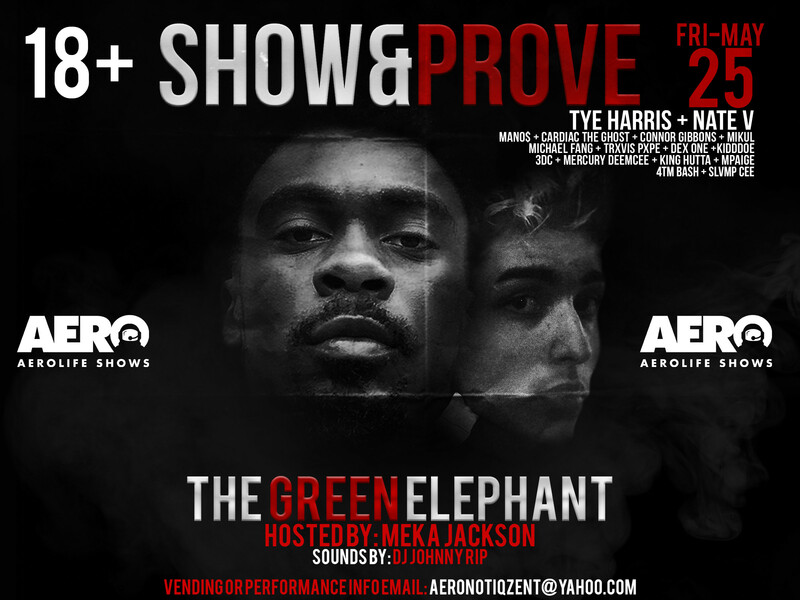 TYE Harris & Nate V headlining! w/ Support from Cardiac The Ghost, Connor Gibbons, & Mikul! Sounds by DJ Johnny Rip!